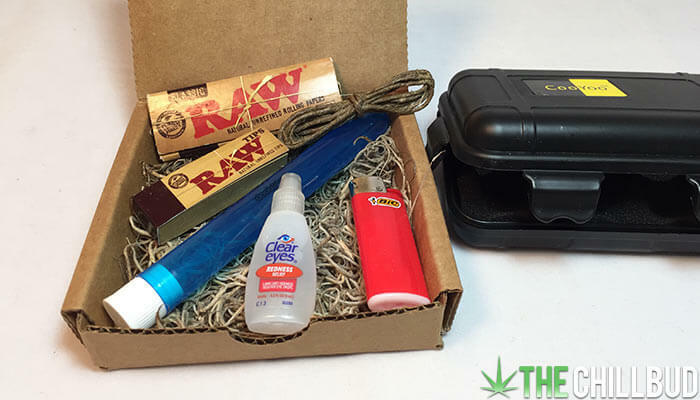 We’re pleased to introduce one of the newest stoner subscription boxes to hit the market, The Puff Pack. Offering tokers across the nation an affordable and convenient way to stay stocked up on their favorite smoking supplies. The Puff Pack offers bundles for as low as $1 (+S&H), featuring some of the biggest brands we know and love. 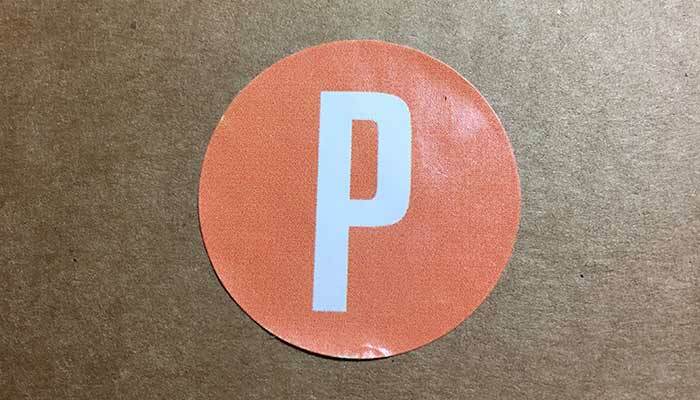 The Puff Pack was shipped very discreetly, each package came in an unmarked box with a simple ‘P’ sticker; totally unrecognizable unless you’re familiar with the company. Each package comes with plenty of RAW products, which we’re super happy about considering they’re our favorite papers. This ‘raw’ feel was also reflected in the packaging, using spanish moss to keep things from rattling around in the box instead of the classic bubble wrap. Let’s take a look at what you can expect to find in the different levels of The Puff Pack. 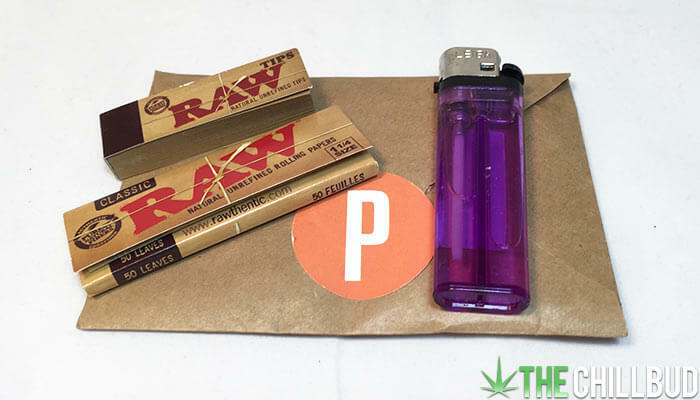 This is the most affordable package offered by The Puff Pack, containing the bare smoking essentials: Papers, tips and a lighter. The Economist pack costs $1.00 USD plus $2.00 shipping within the U.S. International customers should opt for a different pack considering the shipping skyrockets to $15.00 outside the U.S. If you’re a U.S. resident and a regular joint smoker, the Economist pack from The Puff Pack is a great option. All in you’re looking at $3.00 per month for papers, a lighter and some tips. No it’s not an astronomical deal, but it ends up being cheaper than picking up the same items in-store and they’re delivered straight to your door. Here is the mid-level package where things start to get interesting. The Mediator costs $7.00 and ships for free within the U.S. 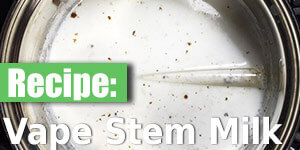 This package features a mystery item each month along with the standard smoking essentials. The mystery item this month was a CooYoo padded case, perfect for transporting your favorite glass pipe with complete peace of mind. 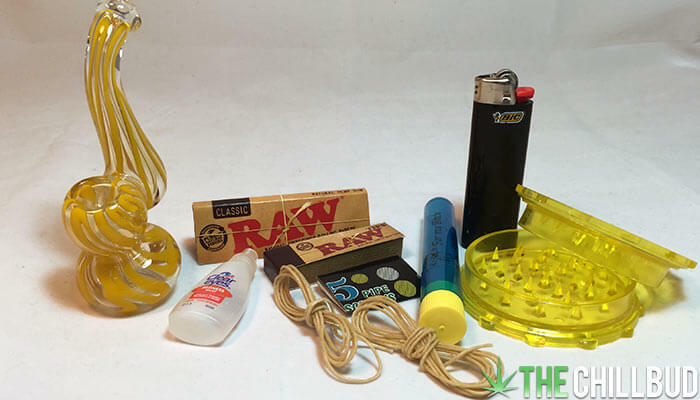 A few supplies you can expect month after month that aren’t featured in the $1 package include: Hemp wick, a doob tube and a mini-bottle of clear eyes eye drops. Like many of the mid-level subscription box options, I feel there just isn’t enough value here to sway me from either the $1 package or the $18 package. There’s no question there is $7 worth of stuff in the Mediator, but I couldn’t see myself subscribing to this month after month. Here’s the big kahuna! The $18.00 Artisan box contains much of the same smoking essentials with the added bonus of a grinder and a piece of glass. It’s a pretty impressive list of items for only 18 bucks. I’ve seen plenty of subscription boxes that offer a similar list of products for nearly twice the price. The bubbler we got with the Artisan package this month wasn’t anything to write home about, it’s pretty small and doesn’t scream quality. That being said, it’s a pretty solid little piece, especially for the price! I’d assume the bubbler alone costs around $10-$15 if you were to buy it from the store. The Puff Pack delivers everything you need to smoke down, regardless of the price point you choose. I’d say you get the most out of the $1.00 and $18.00 options, but the $7.00 package is still a worthwhile buy. Unlike many other subscription boxes which offer a random assortment of products month to month, The Puff Pack prides itself on consistency. You will know exactly what you’re getting each month, with the exception of the mystery items. The idea for ‘The Puff Pack’ was born in a dorm room. A couple of young cannabis enthusiasts saw a hole in the market for an affordable, consistent subscription service tailored towards stoners. After plenty of brainstorming sessions and polling their buds for valuable information, they curated the perfect stoner package. One unique feature that The Puff Pack offers is the ability to curate your very own box. Browse their selection of goodies and add what you want to your current subscription. Not enough papers? Need another lighter? 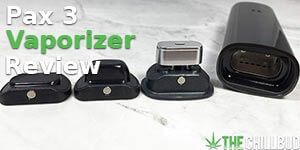 Want to get a grinder for your buddy? Tailor your subscription to your needs and ensure you always have your favorite smoking supplies on hand. Affordability is the name of the game for The Puff Pack, and they took it a step further by offering our readers an added savings. If you’re on the fence about ordering your first Puff Pack, how does a 15% savings sound?! Go grab a Puff Pack and let us know what you think.